You will be delighted with the tasteful updates and features this cozy home offers. Turn-key and waiting for you to move in. You will feel welcomed as soon as you enter this home. Lovely wood flooring throughout both levels. The main level offers a spacious office/library with French Doors. The living and dining area leads into the spaciously update eat-in kitchen. The kitchen offers lots of granite counter space, stainless steel updated appliances with a gas stove. Custom decorative backsplash and a window above the stainless steel sink overlooking the wooded back yard. The home also offers a finished bonus room off the kitchen (formerly 2nd garage). Lends itself to a great pantry and/or additional storage. This home was freshly painted and includes tasteful updated lighting package. You will fall in love with the remolded master bathroom. Vaulted ceiling in the master bedroom and spacious walk-in closet.Also updated is the 2nd full bath with modern fixtures. Enjoy the convenience of the bedroom level laundry and roomy bedrooms.Bamboo flooring throughout the upper level.Take full advantage of the community amenities, commuter bus stops, security and close shopping options. 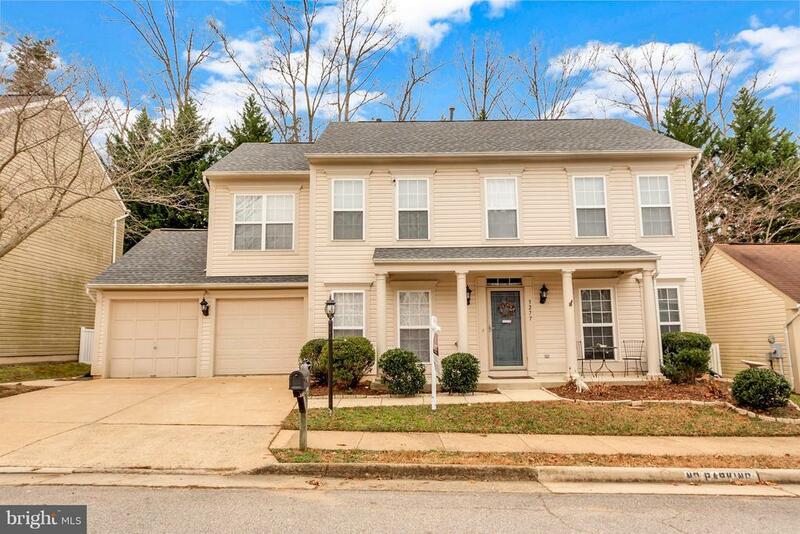 Minutes to Quantico, I95, several VRE stops, Commuter lots, golf course, schools, hospital and so much more! Dont let this one slip away!